At BCG, we believe that your corporate event should not only be entertaining for your attendees, but be anchored around solid, well-thought out goals and objectives. We customize our processes and work with you in whatever capacity you need us to. Making sure to not lose sight of the big picture even as we break down the tasks necessary for a successful event is what sets us apart. In this meeting, we work with you to help define measurable goals and objectives and create an achievable action plan to make sure your event is successful and meaningful. We assist in your process to research, identify and select your speakers. Upon speaker selection, we manage the complete process from beginning to end by keeping in contact with the speakers before the event to provide them with updates as needed. During the event, we can be on-site to ensure the speakers know where to go, who to talk to, and what to do. Post-event feedback is sent out to the speakers to show your appreciation in their involvement. If you have a tradeshow and/or sponsors as a part of your event, BCG understands the importance of their participation and helps you develop a plan. There’s more to the event, than just the event. You want to know how successful your event was, and we want you to know. We provide analytics, and can also conduct surveys and other measurements, to capture valuable feedback. A solid, well-thought out and implemented tradeshow program is an important part of your company’s sales and marketing plan. At BCG, we help you develop a measurable, results-oriented tradeshow program to achieve maximum results. In this meeting, we help you develop the measurable objectives and achievable action plan that will add value to your program and justify your participation. Based on your objectives and demographic sweet spot, we research the tradeshows in your industry and recommend the best events for you to participate in. We review the processes that you have in place to give you unbiased, third-party observations and recommendations to help you create a more effective program. BCG partners with Marketech, Inc. to customize measurement programs and training for you and your staff to continuously improve your tradeshow and events programs. Designed to enhance the skills of the sales staff and provide an ideal way to prepare and orient exhibit or event staff prior to any show or event, staff training programs are available in a variety of formats to help ensure your staffers are ready to meet their audience. Surveying and interviewing visitors, exhibitors/sponsors and even staff pre/at/post -event is an important part improving performance and measuring success. It gives you insights into how well your brand awareness is being absorbed as well as what your visitors, sponsors, and staff perceptions are of their experience at your event. We conduct surveys and interviews in a variety of ways and work with you to choose the best option for your event needs. With a visual competitive audit program you get expert, unbiased, third-party observations and recommendations that help you understand and enhance what’s happening on the show floor and how you compare with your competitors using the same evaluation metrics. BCG works with you on an ongoing basis to provide consultation to help you stay focused as you implement your plan. Set up a retainer program and you can call us any time you have questions or need additional consultative services. 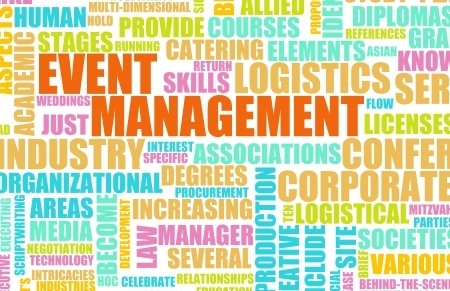 Need additional event or trade show help? Contact us and let’s talk about how BCG can work with you and your team.